Sitting at any Passover Seder is a meaningful experience. Sitting at a Passover Seder with two newly-freed slaves in Richmond, Virginia in 1865 brings new dynamics to that experience. 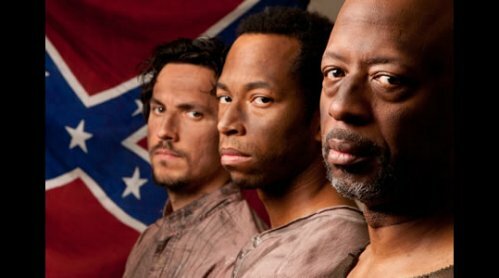 This is just what is occurring when the intricate stories begin to unfold in The Whipping Man, written by Matthew Lopez and directed by Jennifer Nelson, now playing at Theater J in Washington, DC. The two former slaves and the son of their former master explore slavery, secrets and the souls of men. Reviewers and crowds have applauded the production that runs through May 20. 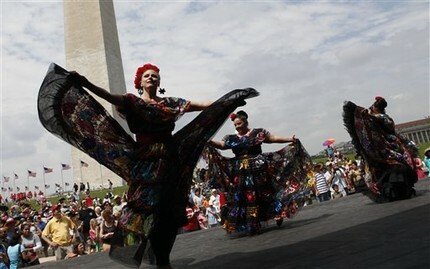 The Maru Montero Dance Company will host its 20th Annual National Cinco de Mayo Festival on Saturday, May 5, 2012 at the Sylvan Stage on the National Mall to celebrate Latin American dance, music and crafts. Although a Mexican celebration in origin, the Cinco de Mayo Festival has become a larger “Latin American Family Reunion” according to organizers. The anticipated festival provides an opportunity to explore the rich history, culture and ethnic diversity that is the foundation of Latin Americans in the United States. The Festival is Free and open to all, the event will be held rain or shine and everyone is encouraged to attend. Activities begin at noon and run until 6:00pm.